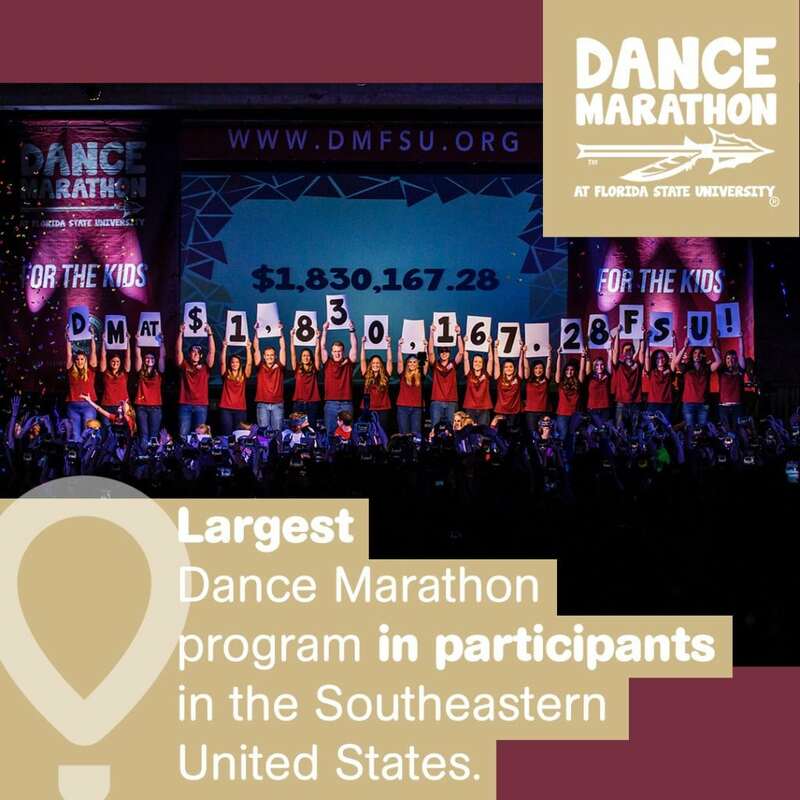 “Hands-down, my favorite memory of this past year with Dance Marathon at FSU happened a couple of hours before our total reveal. We have a gong at DM at FSU, which we use as a symbol of ‘the heartbeat of our marathon.’ Every time someone raises $100 in that civic center that weekend, they hit the gong. And it is another reminder of the miracles we are making for the kids who need it most. When I was at the marathon, I walked over to the gong, took out the headset from my walkie talkie, and sat in silence as I watched a huge line form. One by one, students from across our campus lined up to sound another heartbeat of our marathon… another heartbeat for the parents who pray they won’t hear any more bad news… another heartbeat for the strongest kids in the world, so deserving of a normal childhood. And I lost it. Wholeheartedly, I lost it. Staring at this line that stretched 50 people long, looking around the room and seeing a thousand students who were exhausted and hurting and fighting on. I could not contain my tears and I cried every emotion I have ever felt about Dance Marathon at FSU. Students were lining up to hit this gong and to tell everyone in that room how much they believed in this cause, fight and miracle we call Dance Marathon. So many were freshmen who didn’t know exactly what they were getting themselves into when they signed up for Dance Marathon. But here they were, raising hundreds of dollars for the kids who needed it most. You can help FSU students get a jump right now: http://bit.ly/DMatFSU.